Heroku is a Platform As A Service (PAAS), which deploys web apps. It is free for light use and therefore quite handy if you want to test recent commits and various branches of the code under development. 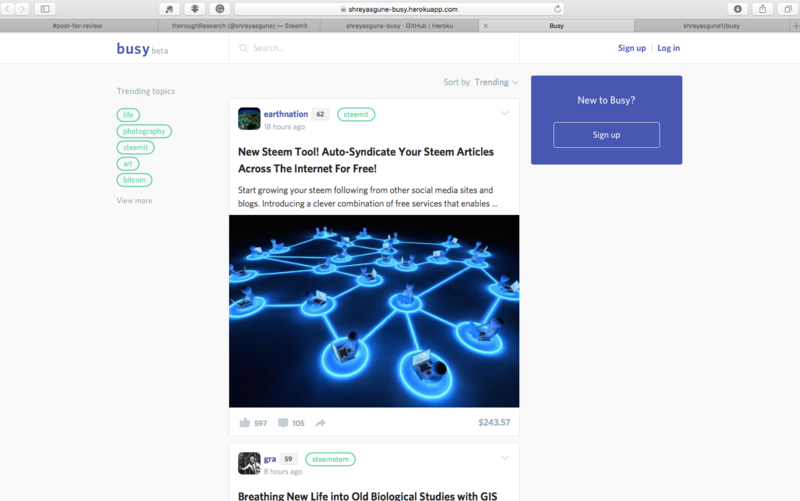 The various steps followed are detailed with illustrative screenshots. 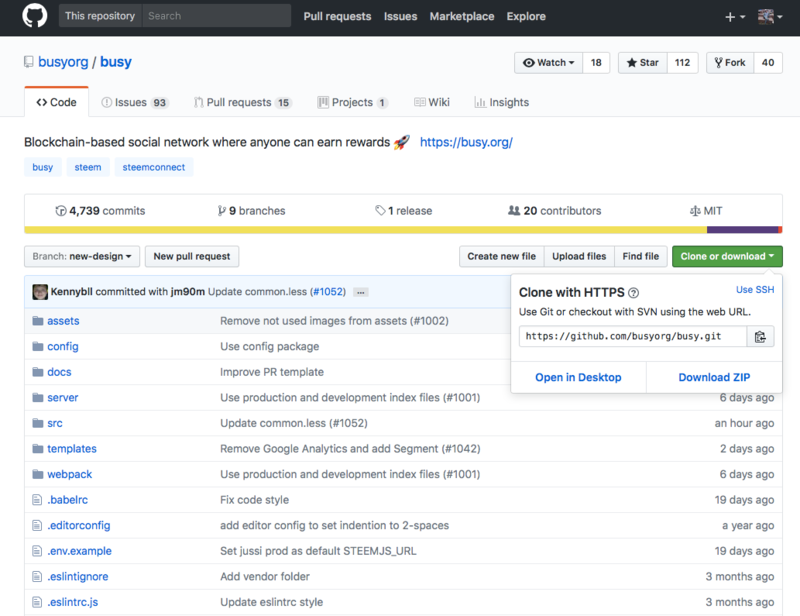 Open Github repository of busy.org and click on Clone or download button on the right and click on copy sign to copy the file path. Click on '+' sign on the top right and select Import repository. Paste the file path copied in step 1 in the Your old repository's cloned URL. 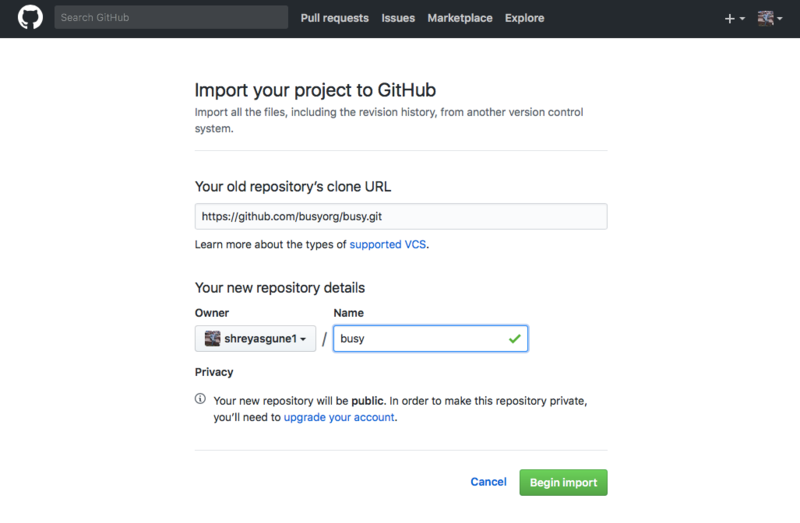 Wait for few seconds and your own (cloned) repository for busy will be ready. 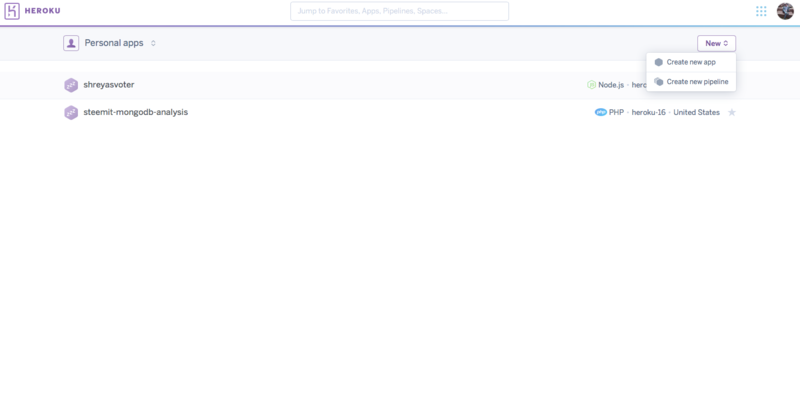 Now login to your account at heroku.com. Register for the account if you don't have one already. Once you login, your dashboard will be visible to you. Click on New in the top left corner of your dashboard and select Create New app. Give a suitable name for your busy look-alike app. Name busy is unavailable so I give it name shreyasgune-busy. You will then be directed to the dashboard for your app. The first row will be for choosing pipeline. Do not change anything in this. The second row of options will be for choosing deployment method. 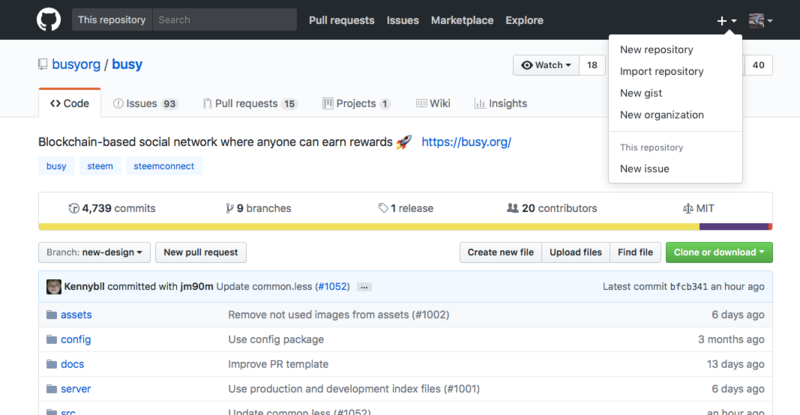 Click on Github. Click on search near the repo name box. You will find yourself all your repositories to connect to. Click on one the name you used for the busy repository while importing it. 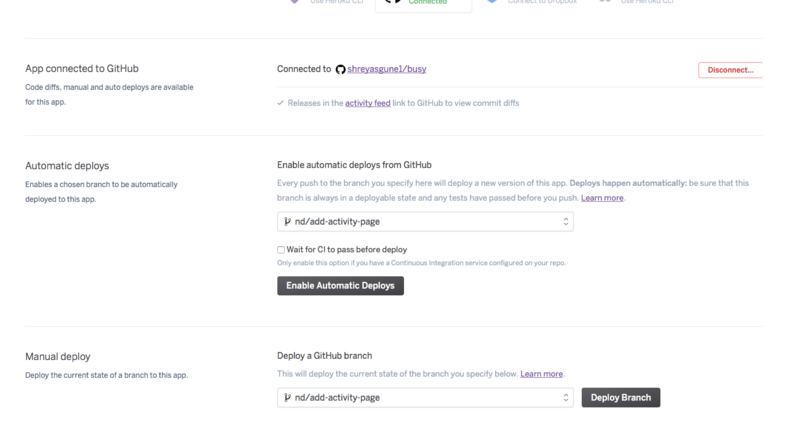 The next row of options will be automatic deploys. Leave it the same. The next one is manual deploys. In this row leave everything as is and click on deploy branch. 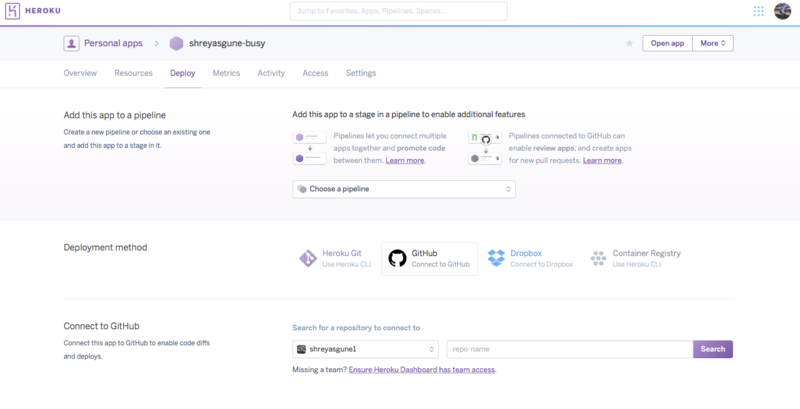 Heroku will connect to your clone of busy github repository and build it. Wait for few minutes. The app will be deployed and you will get the option to view the app. For me, the app URL was: https://shreyasgune-busy.herokuapp.com. This is how the shreyasgune-busy app looked like. 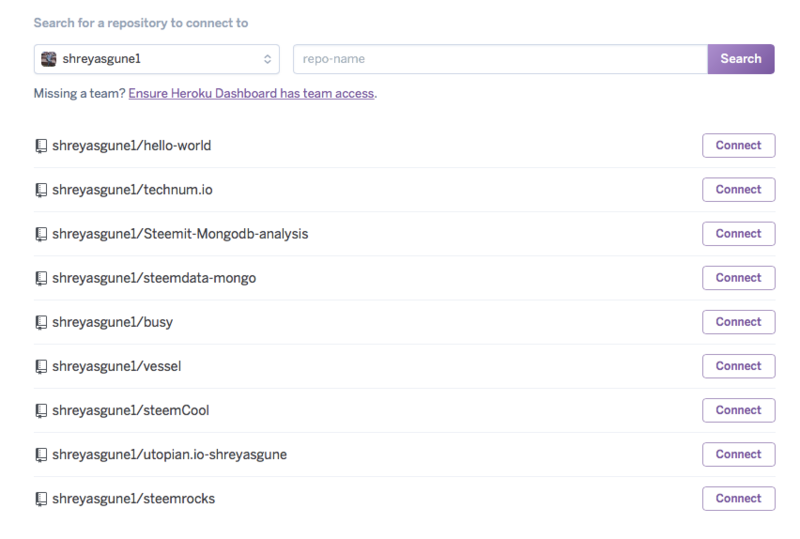 Heroku also has features like custom website name and scaling solutions for your web app. Build logs are also available for each deployment trial and can be inspected for bug finding.